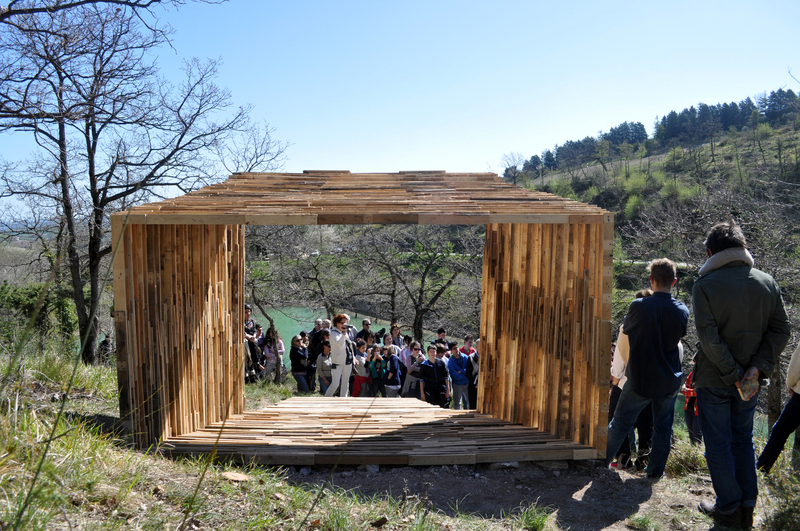 In 1972 Italo Bartoletti initiated Operazione Arcevia Comunità Esistenziale with a number of contemporary artists of the time. 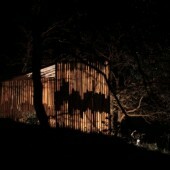 Introducing the idea of an existential community, they wished to develop a new architectural landscape. UNIT+ collective have been developing Operazione Arcevia 2.0 in collaboration with the local community and Riserva Privata San Settimio. To date a number of interventions have been carried out. 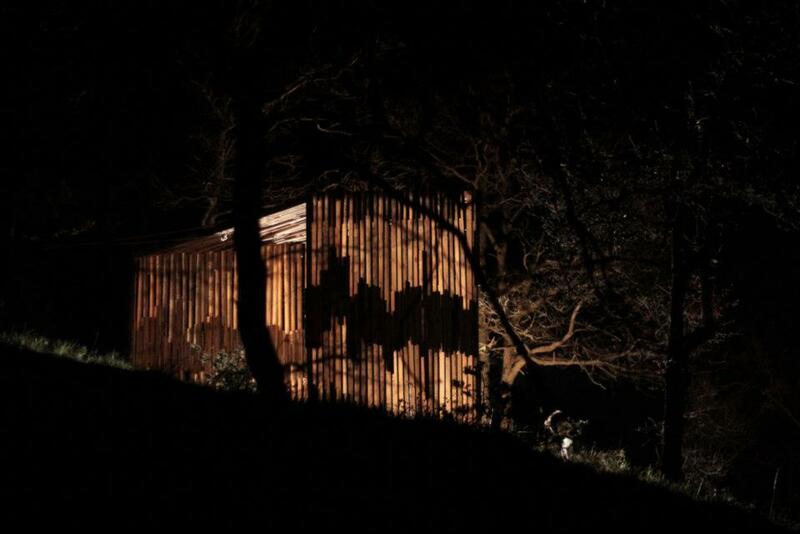 The concept of the open air studio was developed in response to that of the existential community. 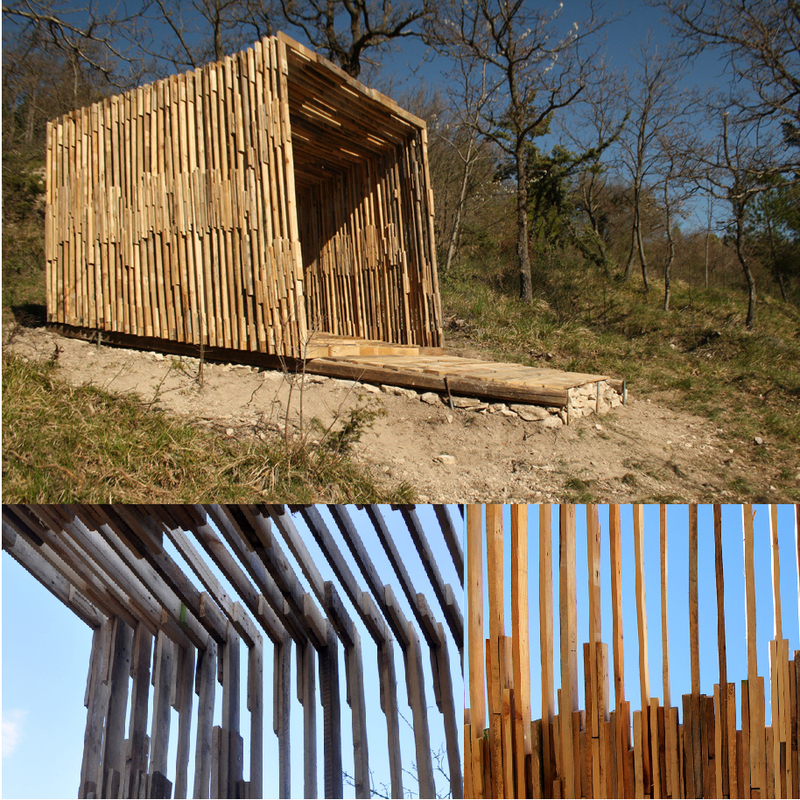 The Pavilion is situated alongside the Riserva’s largest lake and is aligned to frame the sunrise. 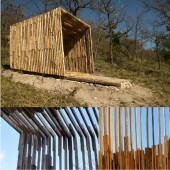 Not wanting to be limited by the chosen material, the decision was made to de-construct the pallets and use the wooden slats to develop the design of the structure. 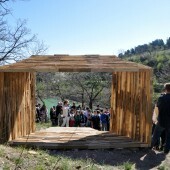 It was constructed in its entirety in a 5-day workshop culminating in a community event. Unit+ was initiated in 2012 whilst many of its participants were still in undergraduate education. Research Question: Operazione Arcevia 2.0 endeavours to discover the potential of the link between landscape, design and community. Architecture, Days, Client-funded, 0-10, Undergraduate, Semi-permanent, Arcevia, +, Sponsorship, Collaboration, Extra-curricular, Students with tutor, London Metropolitan Univ.